The Wandertec BONGO plywood load bed is a great accessory to the Wandertec BONGO trailer frame or to your own custom trailer application. The load bed is constructed from quality 3/8″ baltic birch plywood with a high-quality, UV resistant laquer finsh. 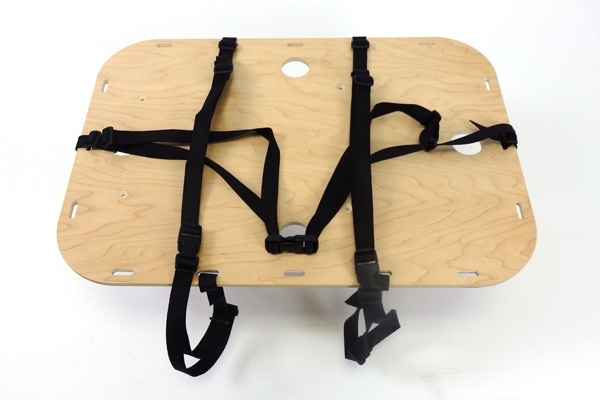 The load bed has a variety of mounting positions and both finished an unfinished version include a Wandertc custom strapping system which enables any load to be strapped down securely. Many commercially available boxes and containers work with the BONGO load bed. Fully adjustable buckled strapping system. Sturdy, yet pliable for a quiet ride. Hole cutouts for interfacing a box or container to. Wandertec offer a one year warranty on the BONGO load bed.